Carpet Cleaning Chemicals, What do the Professionals Use? Home » Cleaning Products » Carpet Cleaning Chemicals, What do the Professionals Use? We get a lot of clients enquiring about what carpet cleaning chemicals we use. 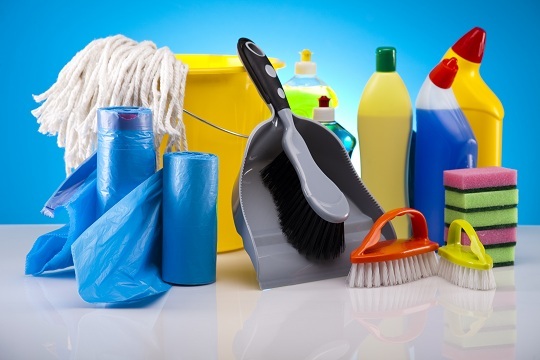 These days there are many different chemicals used for different purposes. These include some chemicals which could be a health risk to your family, they are the ones which contain poisonous and acidic materials. It is highly recommended to make use of safe cleaning products which won’t be harmful to your carpets or your health. The following products are what we use while providing professional services to our customers in Canberra. One of the most popular cleaning products is Citrafresh, especially for greasy carpets which have lots of dirt and soils. This carpet cleaning shampoo contains a natural deodoriser which leaves your carpets smelling fresh and looking great. You can safely use this product on any sort of fabric and you will not have to worry about harming your carpets. It can be used on commercial carpets and as well as silk rugs in residential homes. This product is great to eliminate any sort of smell from your carpets, if you have a bad odour on your carpets then be sure to give this cleaning agent a try. Whether commercial or domestic, this product can absorb the bad odours and leave a nice fresh smell behind. Odaban can be used to eliminate pet stain odours, vomit, and food stain odours. So if you have smelly carpets, then your best bet is to make use of this awesome product. As you can tell from the name, this product will help you remove oily and greasy stains. Hot water extraction machine can be used to spray water and this chemical will easily be removed from your carpet fibers. When you rinse it off, it will also make sure the stain is also eliminated. This product will remove most stains with ease and only a small portion of it is needed to eliminate the toughest stains. Sensation Carpet Spotter, is really a sensational product to use. If you have specific spots with waste stains, then you must give this chemical a try. It’s great to use on stains such as pet droppings, vomit, blood, red wine, ink, food spills etc. With this product you can make sure there is no more stains left on your precious carpets, leaving them looking clean and like new.